Fifth-generation Intel Pentium N3700 processor has four cores and four threads, featuring 2MB cache and offers a base speed of 1.6GHz up to 2.4GHz with Intel Burst Technology. Combines a 15.6-inch LED-backlit display and integrated Intel HD Graphics card provides impressive images quality with good multimedia performance to play videos, movies and browse the web. Also includes 1 USB 2.0 port to connect more accessories and peripherals. At a mere 4.41 pounds and thickness 1″ that makes this laptop is ideal for portability and on-the-go. Thanks to a 3 Cell Li-Polymer battery give you can use it up to 6 hours of battery life on a full charge. This machine is ideal for basic use such as browsing the web, office work, watching HD movies or even personal. Along with good battery life and sleek, light design that gives you can be carried around effortlessly. For the first time, there is a smart family of processors that can provide extra performance when you need it, and increased energy efficiency when you don’t. 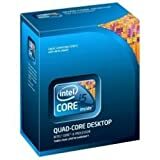 Intel Core i5 650 Processor 3.20 GHz with 4 MB L3 shared cache. Features Intel Turbo Boost Technology which accelerates your performance to match your workload. Intel Hyper-Threading Technology (dual-core with 4 threads), NEW with Intel HD Graphics at 733 MHz, LGA1156 package. Intel HD Graphics supported when used with DH55TC, DH55HC or similar motherboards. Included in box: processor, fan/heatsink, manual and chassis sticker. 3 Year Limited Warranty. Intel Turbo Boost Technology- automatically speeds up your processor when you need it. So even if you’re running multiple applications at the same time, turbo boost taps any unused power to give you an extra boost of speed. Like a modern sports car, where the car can deliver power and traction to the wheels where they’re needed, Intel Turbo Boost Technology automatically speeds up the processor when the PC needs extra performance. Intel Hyper-Threading Technology – lets your processor do two things at the same time, similar to a toaster that has two slots instead of one, or four slots instead of two. The result is that you can do a lot more in less time. Intel HD Graphics- provides superb visual performance for sharper images, richer color and lifelike video. Now available on select models of the all NEW 2010 Intel Core Processor Family.The Intel Core i5-650 Processor brings great performance, Intel HD Graphics, and the latest Intel technologies to your desktop computer. With two cores running at 3.2 GHz, the Core i5-650 won’t have any problems handling your everyday applications. And when you need an extra burst of speed, the processor can utilize Intel Turbo Boost Technology to run at up to 3.46 GHz. Two 3.2 GHz cores for better multitasking and multithreaded performance. Turbo Boost Technology boosts core to 3.46 GHz when needed. 4 MB of Intel Smart Cache. Advanced security technologies such as Intel Trusted Execution Technology. The Intel Core i5-650 processor delivers outstanding performance at a great price. View larger. 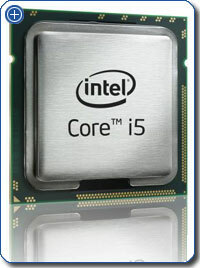 The Intel Core i5-650 contains two processors, or execution cores, on one integrated circuit. Combined with four threads, the Core i5-650 can simultaneously work on multiple tasks. This design produces faster and more efficient results, so your computer won’t slow down–no matter how many applications you have open. Intel Turbo Boost Technology automatically oversees your workload, redirecting power and moderating performance for better efficiency. In the past, unused portions of a chip would be turned off, leaving some cores idle. But with Turbo Boost Technology, unused performance is now routed to active cores, boosting performance without wasting power. With Turbo Boost enabled, the Intel Core i5-650 Processor accelerates from its usual 3.2 GHz up to a maximum single-core frequency of 3.46 GHz. The Intel Core i5-650 Processor features Intel Hyper-Threading Technology to deliver more efficient use of resources and better performance on multithreaded software. You’ll be able to run demanding desktop applications, such as music and movie creation applications, while running background applications, such as virus protection software, and still maintain system responsiveness. Intel Smart Cache provides performance-maximized storage for frequently accessed data. The Intel Core i5-650 has a generous 4 MB of Intel Smart Cache kept close to the processor, so there’s always data feeding in. The result is better overall functionality for everyday applications and markedly improved performance for rich media titles and games. With the Core i5-650, Intel HD Graphics is built right into the CPU, so you won’t have to spend money on a discrete graphics card in order to get stunning results. Intel HD Graphics provides sharp images, rich color, and lifelike audio and video. Intel HD Graphics support multiple monitors, premium video such as Blu-ray Disc playback and mainstream gaming as well as a full Windows 7 experience., The Core i5-650 has a graphics core that runs at 733 MHz to maximize viewing power. The Intel Core i5-650 has security features that make it ideal for business use. Intel Trusted Execution Technology provides a hardware-based set of extensions that enhance security capabilities, protecting your computer against software-based attacks and protecting the confidentiality and integrity of data stored on your clients’ PCs. The Intel Core i5-650 is made on a 32nm manufacturing process for better energy efficiency. It uses the LGA1156 socket and is backed by a three-year limited warranty.